Today we are introducing a new member to KHD family, Vinoj Thaikkattil from Thrissur, Kerala. 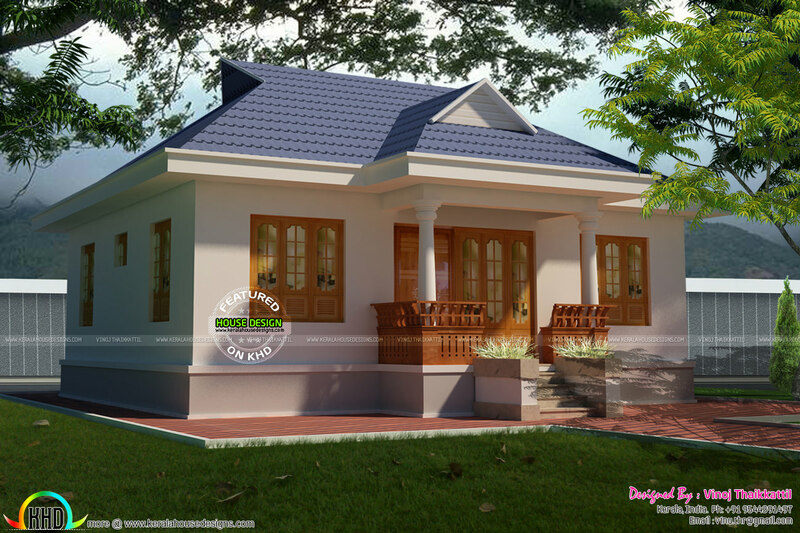 Presenting a 750 Square Feet (70 Square Meter) (83 Square Yards) cute and small Kerala traditional single floor house architecture. 1 comments on "Cute little Kerala traditional Home"